In Part 1 of this post about Service Oriented Architecture 4.0 the case for services was introduced, and different types of services were presented. From an architectural perspective, the most important service type is Solution Services and in more detail Business Services, simply Solution Business Services. I will not go into detail about the services itself. What is important is that they all have a considerable potential for many different departments and processes within the public agency and that they have a potential to be standardized to a certain level. The Business Insight Service Center at the agency will design, build and offer these services to all departments in all divisions. Exciting to think about. From an architectural perspective, these services formulate the conceptual architecture, the most important business needs that drive the design of the BI architecture. There are two perspectives if looking at solution services in an area like Business Intelligence. First, we have the obvious, a solution architecture, which in turn is based on a reference architecture built on a solid ground of logical architectural building blocks. Second, we have the addition that makes it a service, the configuration of capabilities that constitutes a service, based on a framework of possible capabilities. Here I just focus on what is new, the addition that makes it a service. If you think about a solution service as something that a business unit can order and get quickly delivered, the question is what can be pre-defined and what must be adapted. The following is the first set of capabilities, or rather service build components for BI solutions. The idea is that the more components are predefined the better solution service. 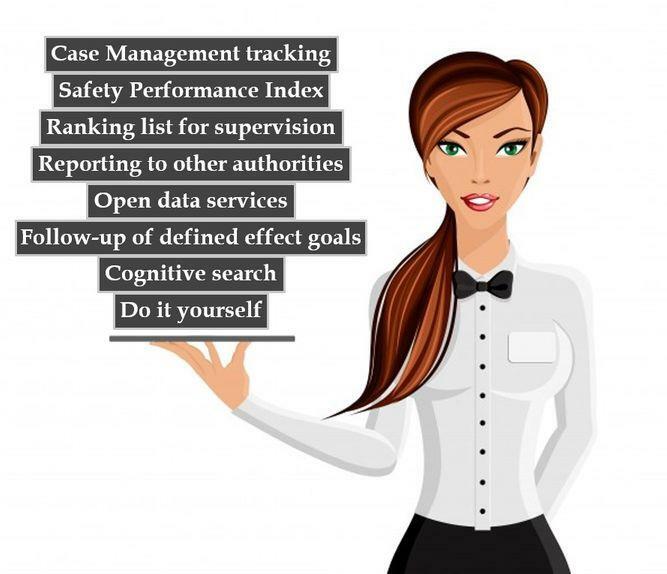 We can look at the Case Management Tracking as an example. The technology is set, Microsoft backend structure and Power Bi at the front-end. The business process for Case Management according to the agency standard is implemented. The presentation and its underlying indicators are set. The required data model is defined and implemented. The method for implementation of service and the organization that will do it is pre-defined. To be able to gain from this solution service, the data sources that are required to populate the data model must be identified and connected. The data transformation procedure to get the data into the model must be defined and implemented. The other components are not relevant to this service. Capgemini’s Smart Solutions in the Business Intelligence area are examples of Solution Services. 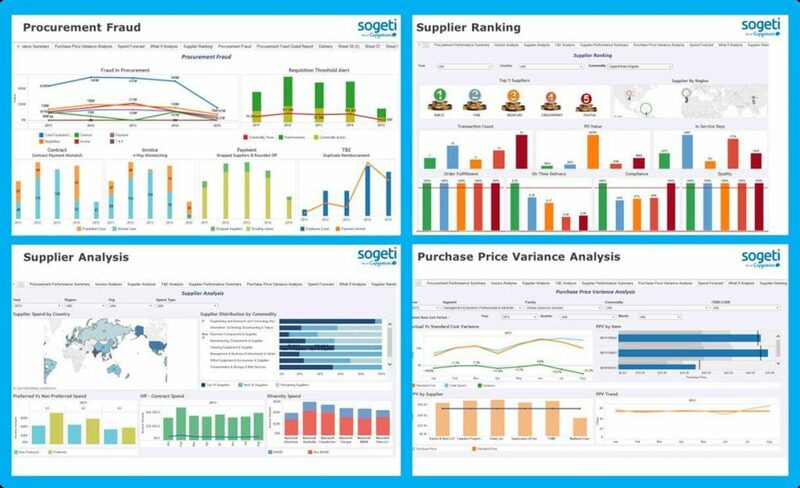 If you look at the example below, the setup of dashboards included in the Spend Smart solution service. If a company or a business unit orders this service, they will get the dashboards populated, after the required data sources have been connected and the transformation procedure to get the data into the predefined data model has been defined and implemented. The presentation and its logic are set based on the pre-defined data structure and indicators. Service orientation the new way is an important driver for a shorter time to market regarding solutions to the business. Imagine a delivery within one week instead of ten weeks. It also drives the architectural process and sets a foundation. The solution services are in fact the conceptual architecture. What I can see, the service orientation also changes the way the demand process is carried out. It is more dialogue and more discussion about the solution, a solution that is visible from the beginning. Per Björkegren is an Enterprise Architect and IT strategist in Sweden. He has worked within Capgemini Group since 1991 and is the practice leader for Enterprise Architecture and IT Governance within Sogeti Sweden, developing the service offerings and speaking at open seminars. He is also the founder and president of SWEAN (Swedish Enterprise Architecture Network), which currently has close to 1000 members. Where does Enterprise and Solution architecture fit?